To be honest with you, I was scared to take the braids out. My fears were justified. When I detangled and washed my hair, there was a lot of shedding. I didn’t lose that much hair, but it was enough to make me nervous. I followed my usual routine: wash, deep condition, moisturize and seal. My hair was thankful and that made me, very, very happy lol. I didn’t take pictures during and after the take down, but I do have one from a successful braid-out. P.S. 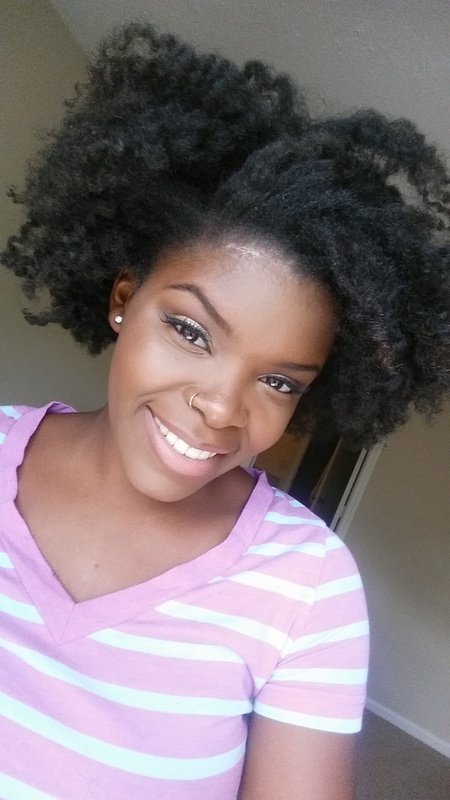 naturalistas, take care of your hair. Protective styles are just that, protective styles. Protect your hair, it’ll thank you in the long run. Soooo cute! Love your hair and dress.